In this booming housing market, the possibility exists for big business for mortgage lenders. The biggest problem is figuring out how to rise above the hundreds of other lenders customers can select. Marketing has changed a lot over the past decade. Interestingly, 2006 is also the last time the housing market was as strong as it is today. Ten years ago, Facebook and Twitter were new territory. Nowadays, a full social media strategy is the minimum for any marketing effort. The impact of other social sites, particularly review sites, has also impacted businesses. The feedback cycle is immediate and unfiltered, and people aren’t afraid to share their experiences with companies. The good and the bad. This is particularly important in industries where relationship building is still the standard for gaining business. You know, like realty and mortgage lending. A mortgage thank you is a no-brainer. But what kind of thank you? Showing customer appreciation is harder than it seems, right? A company doesn’t want to come off too flippant, too robotic, or inappropriate. But in the interests of time efficiency, you can’t exactly spend a few hours everyday hunting down the perfect piece of artwork to complement a client’s dining room trim. 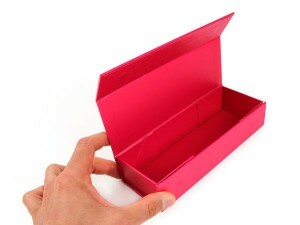 Split the difference by creating a customized box. 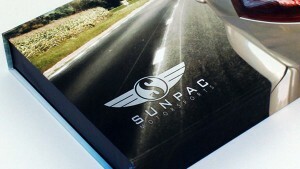 Sunrise Packaging, here in Minnesota, can help design something that meets your budget and image. And from there, come up with some ideas of how to fill it. Whether you buy a card or use custom stationary, take the time to write out the note longhand. We don’t have to explain why…right? If you don’t know what to write, Google it. Even if your clients are refinancing or not new to the area, a coupon or gift certificate to a local business is appreciated. Plus you can possibly build a kind of referral exchange with the other business. If they’re new to the area, it would be handy to learn about things that are nearby. Dog parks, microbreweries, escape rooms, whatever they’re particular deal might be. You know a lot about these people, you should have an idea of what they like. It might feel a tad crass, but if we’re being honest, cash is the only universally appreciated gift. It allows the customer to spend it on whatever they want, without feeling obligated in any way. It’s not quite the gift that keeps on giving, but it’s close. Believe it or not, but a box isn’t just a box. Take the time to figure out what needs to go *in* it, then we’ll know what types of custom box options it needs. How to make your branding stand out, what types of insert it needs to protect and preserve the gift, and best of all: how to make that perfect final impression. This is a business of referrals. Your mortgage thank you should have them talking about your company into the next decade. 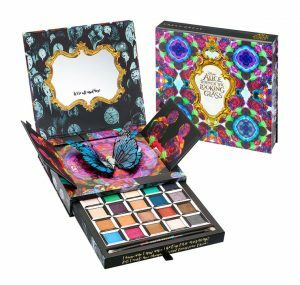 In honor the recent release (and soon-to-be sold out) Urban Decay Through the Looking Glass eye shadow palette, I decided to revisit the original Alice in Wonderland palette (though note that these are not Sunrise products). What I love about these palettes is, first and foremost, the eye shadow selection. Urban Decay is super pigmented without feeling heavy or weighty, making it easy to vary the intensity. Secondly, the packaging for these palettes is always fun and interesting. The magnetic closure, or netbox, as Sunrise calls them, adds an interesting element. It helps ensure that what lies beneath that top flap stays secure and accessible for days to come. The drawer feature is one of my favorite features. It’s great to pull it out, see all the colors at once, and formulate your blending plan. The obvious precursor to Through the Looking Glass. 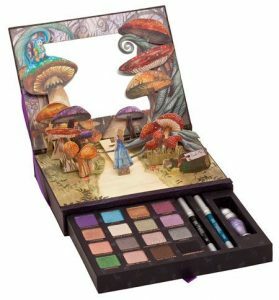 The original Alice palette netbox takes obvious inspiration from the original illustrations for Alice in Wonderland. Whimsical mushrooms swirl around the mirror in the pop up portion, the caterpillar looms over Alice, and it’s basically a must-have for literary Alice memorabilia fans and collectors. This was one of the first palettes for which I popped the $60, and the one that made me a convert. As one of those people, the fact that there are no original shades in this palette isn’t as much of a bummer as it would be others. That might sound surprising, but Urban Decay is notorious for re-purposing older shades in palettes. But it can be frustrating, so it pays to do your research prior to investing in a palette. From a purely financial standpoint, it’s a steal to get 16 eye shadows, two mini eyeliners, and a mini primer potion for that price. Buying each individually would run around $200. Granted, these are smaller than you would buy individually, but still it’s still a better deal. On the other hand, Through the Looking Glass makes up for it. With 20 new shades and a great design, this netbox delivers in more ways than one. One frequent offenses of the pop-up palettes is that they tend to skew toward the glittery-shimmery side of things, but there’s a good amount of matte shades for change. Another deviation in this palette is the organization of colors. They’re organized into columns according to character. Depending on how creative you are, this might make blending easier or feel limiting. I tend toward the former. What’s your favorite palette and why? Your sales kit should be generating more sales for your organization. It sounds like common sense, doesn’t it? Unfortunately, as the saying goes, common sense isn’t all that common. Too often, a sales kit becomes flooded with materials that aren’t doing the job. As organizations try to save money in marketing by making materials more general, sometimes they can lose relevance as well. How do you introduce yourself to someone you want to impress? Apply those same principles to your organization’s introduction. Take the time to write a customized letter to the recipient. Write it like you would write a cover letter for a job application (for more information on the how and why of doing this, see Business Know How).If you don’t have the time or resources to do that, create different versions of a document. Take something versatile, like company brochures, and provide targeted information for different industries. 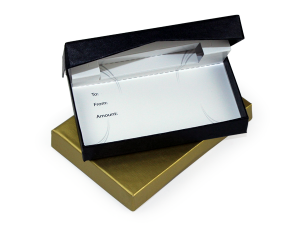 Incorporate branding through letterhead or by purchasing custom packaging for these materials. What documents best convey not only your company’s successes and business, but also give a sense for *how* you do it? Give potential new clients an idea for what they can expect from you. Chances are they can find similar services and/or products elsewhere. 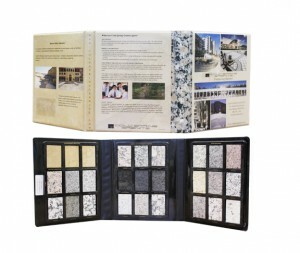 But if they’re looking for premier customer service or another aspect which your organization can provide, highlight that in your sales kit.An ideal way to convey this is through a custom turned edge binder or a catalog binder. Using higher quality materials increases the chances of the recipient keeping and examining the materials. People are less likely to throw something away if they think it’s expensive. This is the hook for customers. 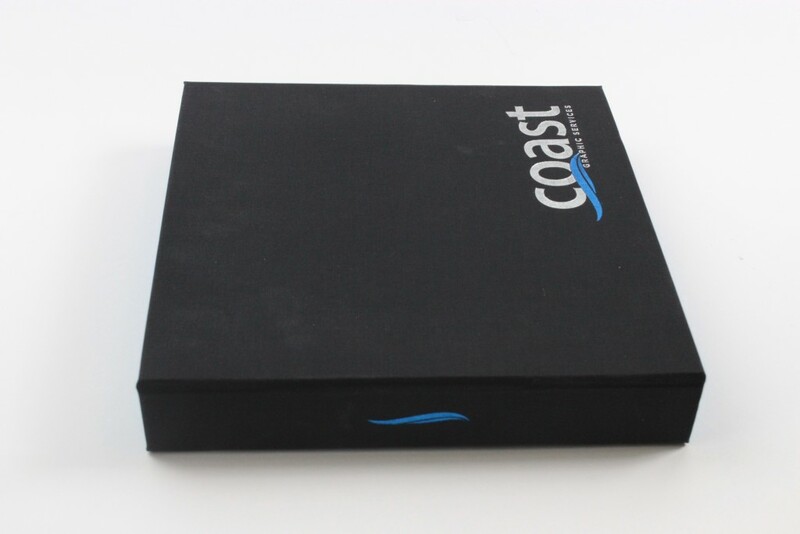 Presentation packaging for your sales kit can make the positive first impression you need to secure the sale. It can also leave a lasting impression as the client returns to the materials inside. 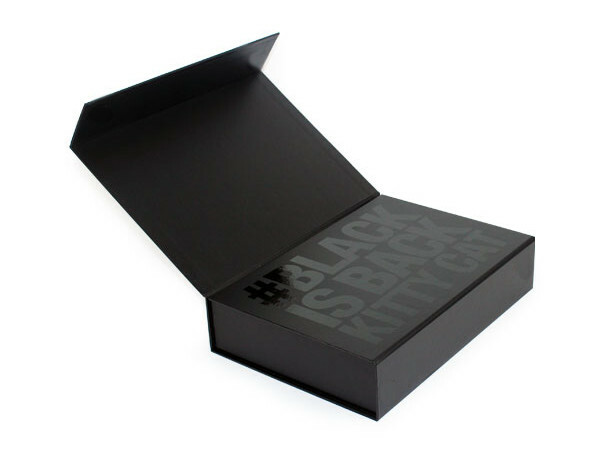 It also helps convey a sense of the way in which you do business, as well as your company’s aesthetic and reinforce branding.Custom sales kit packaging can take various shapes and forms, but there are many ways to show your values. Committed to sustainability? Use recycled materials. Looking to make an impression from the first touch? 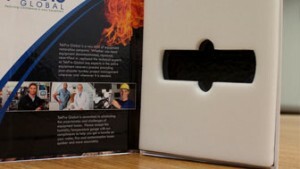 Ask about our finishing options or enhanced options like magnetic closures. All of the above can add a kind of narrative to your sales kit. 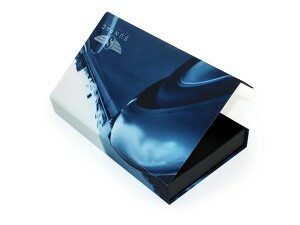 Adding presentation packaging that reflects branding and core values leaves a positive impression. If you are concerned about space or overwhelming the recipient, there’s always the option to save these types of content on a USB drive. The main advantages? Even more customization by using press releases or testimonials from clients in similar industries. And it will be easier to update on the fly! 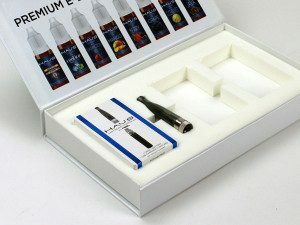 What’s the most effective part of your sales kit? As the new year approaches, we reflect on 2015. Accomplishments and changes, the growth of the family. Learning from these things, all the while looking forward to the future. For Sunrise Packaging, 2015 was a big year. For starters, we launched a variety of new products. Innovation was definitely the name of the game, this year. Custom projects such as the Front Open Box and Gate Fold Box transformed the definition of “box” in a big way. From the SwiftPack gift card holder, to the flat-shipping InstaBox, we looked for ways to reduce the time between initial design to shipping. The InstaBox (short for Instant Rigid Box) made an extraordinary stride in bridging the gap between luxury packaging and corrugated cardboard. A product that ships flat like corrugated, but assembles into upscale packaging when you need it. A major victory in the war on wasted space. You could say the InstaBox was a foray into hybrid packaging. That also became a theme of 2015. Our custom pads were already hybrid packaging–the combining of box and book–but products like the InstaBox and Sleeve Box followed suit, utilizing the best traits of our more popular custom boxes. 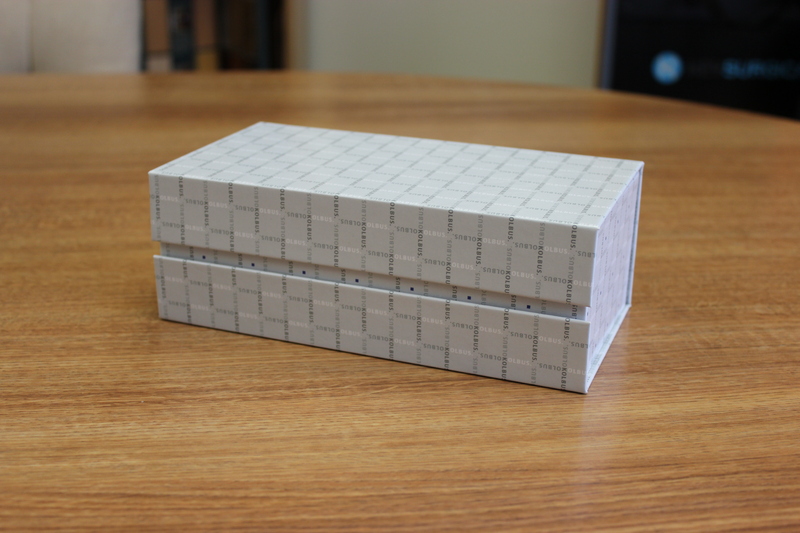 We also introduced our new PowerPad; custom power bank packaging to go with another new product. Power banks, like USB drives before them, are the latest promotional item rife with space for personalizing, and making the rounds at trade shows and conventions. Power banks are another step towards practical presentations. Products that not only look good, but serve a function too. Power banks make a great promotional giveaway because they have a reusable purpose, unlike a business card or novelty whistle. Presentation packaging can serve this same purpose. A box that retains its use as a presentable storage solution. Packaging that is worth more on your mantle than it is in the recycling bin. 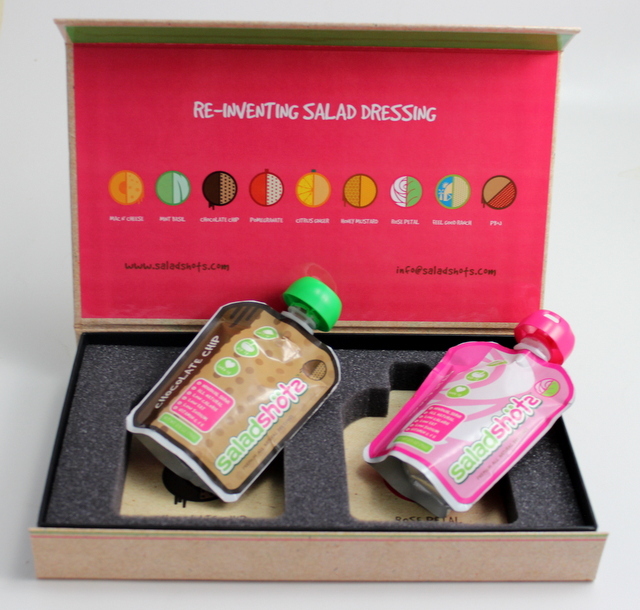 Creating reusable, post-consumer packaging around that theme was a big goal for us this year. On the technical side, we started improving the user experience on our websites. SunPack.com, SunriseBoxes.com, and USBpackaging.net all got a much needed responsive makeover, with more improvements are planned for 2016. While it’s difficult to provide specifics on products which we make uniquely custom, we hope to create sites that inform as well as flow seamlessly, feeding into one another for the ultimate, easy-to-use interface. Though it’s just down the road from our previous location, this new location offers more streamlined interaction between our sales team and manufacturing department. 2016 will be about running leaner to reduce overhead. More specialized equipment and less waste materials will mean faster turnaround time. And while New Year’s is a time to reflect on changes and growth, it’s also a time to remember the staples. The gold standards, if you will. As our technology changes and our team grows, we will always provide the same exceptional customer service with a personal touch. After all, personalization is what we do, isn’t it? Our standards of quality will not get leaner. We will always deliver an exceptional product, customized to exactly the right fit. Call it a resolution, but don’t call it new. From our family to yours, Sunrise Packaging wishes you best for this new year. And be sure to stick around. You’ll want to see what comes next. When you want to add a little dash of panache to your packaging, you gotta go magnetic, as in magnetic boxes. At first, I was a little skeptical how cool a box could be. A box is a box is a box, right? But the first time I held one of these magnetic boxes in my hand, I let out a satisfied breath and thought, Yeah, luxury packaging is definitely a thing. Magnetic boxes like the Netbox­™ are just plain cool. Part of that coolness comes from the magnet itself. Fact: Everyone loves magnets. Why? It probably starts when we’re young. If you can’t remember the exact first time you saw a magnet, you can definitely remember playing with them at some point in your childhood. A pair of magnetic spheres twisting and swirling in a vortex around themselves on your kitchen table, or the clasp of your parents’ magnetic boxes becoming endlessly fascinating on a summer afternoon. The fascination began there, didn’t it? But as you grew up, you realized magnets are still kind of a mystery, adding to their dapper mystique. We know manmade metals can be heated to their “Curie” levels, producing magnetic properties…but they also come from space! These metals get ionized by traveling on asteroids. Whoa. And don’t even get me started on lodestones! A lodestone is a naturally-charged magnetic stone….if you can call getting zapped by lightning ‘natural!’ It’s like a geological superhero! Puns aside, there is something to be said for custom magnetic boxes in the world of luxury packaging. The NetBox™ feels like silk thanks to a soft-touch application, and there’s no denying that familiar snap of its magnetic enclosure. Opening magnetic boxes conjures the sense of unboxing a full array of rich chocolates–and a custom thermoform tray or a precision-cut foam insert can add to that feeling. Seeing an organized spread of items in elegant packaging sends a pretty strong message. 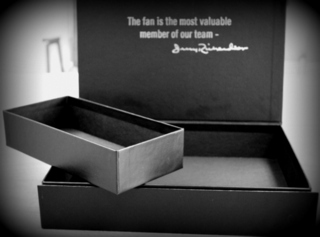 When the box itself feels like an heirloom, the trust in whatever its holding within goes through the roof. A celebrity wouldn’t be caught dead in a fast food restaurant, and you wouldn’t put an elegant product in a shoebox. Well, unless the product is shoes–but you get the point! Dress your product for the job it wants, not for the job it has. And magnetic boxes are the business casual for the packaging world.